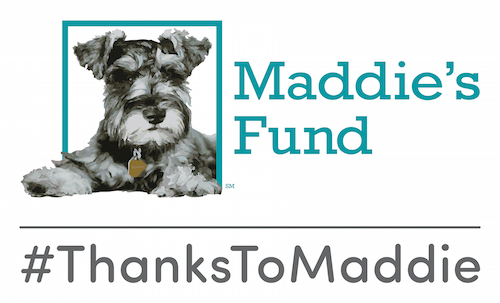 The Maddie’s Shelter Medicine Program is pleased to announce five tuition reimbursement scholarships have been awarded for students who completed the summer Shelter Medicine course, Integrating Veterinary Medicine with Shelter Systems. These scholarships are made possible by a generous grant from Nestle-Purina. “The future looks bright with these future shelter vets in it,” said Dr. Julie Levy. Meet the dedicated recipients below! About one year ago I participated in my first Operation Catnip clinic. 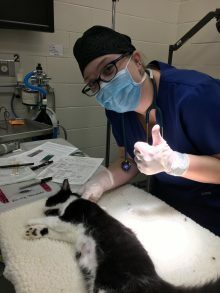 The care, knowledge, and attention to detail exhibited by every volunteer made it clear how 200 community cats could be safely and humanely examined, sterilized, and vaccinated in a six hour window. This was my first introduction to high quality, high volume spay/neuter and is what sparked my interest in shelter medicine. 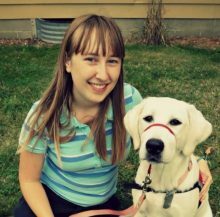 Since beginning veterinary school, I have focused on gaining academic experience in shelter medicine by pursuing the Maddie’s certificate, as well as finding hands on opportunities to learn. I currently foster and volunteer with Alachua County Animal Services. While often understaffed and over capacity, the crew works hard to better the lives of animals in their care. Once a month I also continue to volunteer with Operation Catnip. This spring, I traveled to Miami-Dade with a group from UF to visit their new shelter. With the highest annual intake rate in the state of Florida, it was incredible to meet the doctors and staff and learn how they operate on such a large scale while continuing to improve their live release rate and the reputation of the shelter in the community. Exposure to these kinds of experiences has inspired me to pursue a career in shelter medicine at a private non-profit or a local municipal shelter after graduation. I can’t think of a better way to take what I’ve learned in vet school and give back to the community, and most importantly, to the animals. When applying, I asked every veterinary school about their shelter medicine opportunities. None could equal what the University of Florida had to offer. Gainesville may be far from home, but I had to be here. I knew this because I loved volunteering and conducting research at my local humane society. During my experiences there, I realized I loved more than just the animals: I enjoyed working with shelter staff, talking with the volunteers, and seeing the difference we made. I met a lot of passionate, enthusiastic, and dedicated people at that shelter and I have seen those same traits here in Maddie’s Shelter Medicine program. Even better, my summer classes introduced me to leaders in the field from California to New York. I took copious notes of their webinars so I could soak up their knowledge. That being said, the knowledge I am gaining goes beyond the classroom. Frankly, the spring break trip to Miami blew my mind! I had never seen, let alone worked, in such a huge shelter. Similarly, Operation Catnip has given me an exhilarating new experience—fast-paced mass clinics are definitely my cup of tea! Finally, through our robust student chapter of the Association for Shelter Veterinarians, I have attended numerous extracurricular lectures and successfully completed my first cat neuter. Just a year ago I began veterinary school, but I am already well on my way to becoming the shelter veterinarian I want to be. My interest in veterinary medicine transformed from just loving animals to wanting to be their voice when I discovered my hometown animal shelter in middle school. I bribed my parents to take me every week so I could “visit with” all the animals. Ever since then I have been on the path of finding my niche in this profession and how I can do the most good for the animals most in need. After graduating from UF with a bachelors in animal science I decided to take a “gap year” to gain more experience before applying to veterinary school. 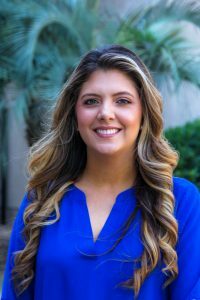 In that time I started and completed a graduate certificate in Veterinary Forensic Science and truly learned how to be an advocate for those who cannot speak for themselves. The program inspired me to be more involved and I deployed twice with the ASPCA Field Investigation and Response team to assist with the daily care of hundreds of dogs seized from multiple dog fighting operations. I was able to apply what I had just learned from my certificate program to real situations during one of the most rewarding experiences thus far in my life. My ideal career goals would be to work as a forensic veterinarian both with larger scale operations, such as with the ASPCA, as well as for local shelters that see neglect and cruelty cases. I want to help advance the field of veterinary forensics and continue to find justice for animals that are victims of cruelty and neglect. The moment that began my interest in becoming a shelter veterinarian came one Saturday when I was ten-years-old. I spent the entire morning glued to the television watching veterinarians perform surgeries on animal rescue shows on Animal Planet. I was completely enthralled by the vets dedicating their time to saving all of the neglected animals in need of homes. From that moment I knew this was the career path I wanted to dedicate my time and abilities to because my passion lied in giving those abused animals a second chance. 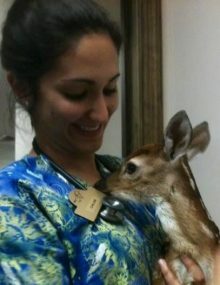 Most of my experience and training of veterinary medicine came from working as a veterinary technician for two small clinics and a wildlife zoo throughout my undergraduate program. After my program, I began to explore the field of shelter medicine by volunteering at Operation Catnip, Alachua County Animal Services, Plenty of Pit Bulls Rescue, becoming Fear-Free Certified and fostering through Helping Hands Pet Rescue. I hope to use my degree to earn a shelter medicine residency, and eventually be able to give back, not only to my local community, but to other communities in need of improved veterinary care for homeless animals. Besides becoming a veterinarian at a non-profit shelter, one of my greatest goals is to travel frequently to my homeland of Peru and offer my skills towards solving the animal overpopulation problem with volunteer spay/neuter clinics to eventually make the Peruvian government’s inhumane solution of poisoning street dogs obsolete. Ut Prosim, “That I may serve,” is the motto that has shaped my life and dictated my career path. Initially, I was introduced to shelter medicine while volunteering at the Jacksonville Humane Society. I was immediately captivated. I furthered my experience working at First Coast No More Homeless Pets, Jacksonville, FL. There I was exposed to trap-neuter-release programs, high quality, high volume spay-neuter, and discounted life saving surgeries and medical care for not only homeless animals, but also owned animals. I knew then that shelter medicine was my niche. Since coming to vet school, I have served as both the Wet Lab Coordinator and now the President of the Student Chapter of the Association of Shelter Veterinarians. As Wet Lab Coordinator, I organized three labs resulting in hands on surgical experience for vet students and the sterilization of many homeless cats. As President, my most recent efforts were dedicated to coordinating a massive adoption event at Alachua County Animal Services through our club, where we successfully found homes for 138 animals. My goal is to become a skilled surgeon, affording me the opportunity to save countless lives through sterilization and life saving surgeries. 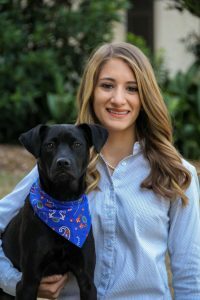 I hope to utilize the knowledge I have gained through my shelter med classes at UF to successfully manage shelter populations, and do my best to keep animals happy and healthy while they wait to find their forever homes. I can think of no better way to serve than by being the voice for homeless animals that cannot speak for themselves.